Myanmar is one of the most wonderful and exciting countries in the world that now also open to tourism more than at any time in its history. 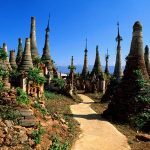 Let your heart bewitched with this Myanmar itinerary 6 days to experience an incredible journey of cultural awareness. 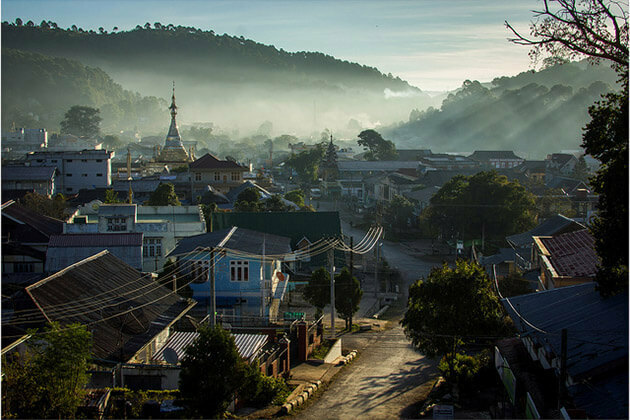 A trip to Myanmar is a once in a lifetime experience. 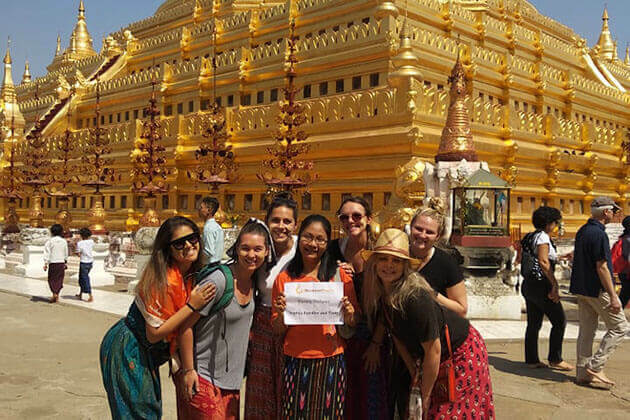 Let’s travel and enjoy a moment of Myanmar tour with us! Greetings at the airport by our local tour guide and driver then transfer to hotel. In the afternoon, we begin to explore Yangon city by visit the most prominent monument of Shwedagon Pagoda. This is a masterpiece that the architects and the builders of ancient leave this country. 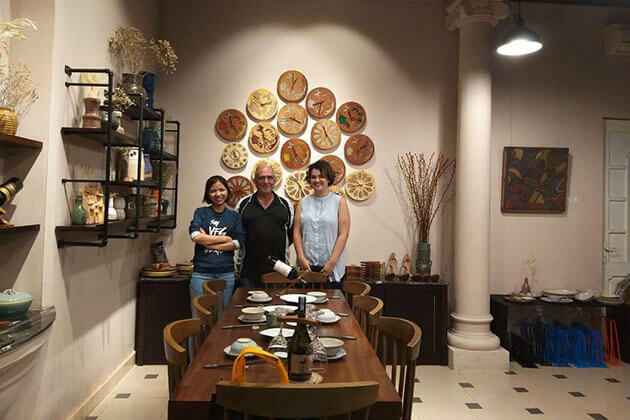 After that, we embark on an orientation walk from Sule Pagoda to Chinese Town, covering exotic streets of Yangon downtown and British Colonial building as Emmanuel Church, Inland Water Buildings. Enjoying welcome dinner with an amazing cultural show at Karaweik Palace, overlooking the Royal Lake and Shwedagon tower. This early morning transfer to the airport to take a short domestic flight to Bagan. 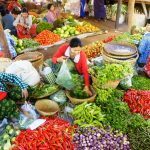 Hit the bustling Nyaung U Market in Old Bagan as you arrive then explore the beauty and gold leaf Shwezigon Pagoda and furthermore, learn about Burmese Buddhist traditions. 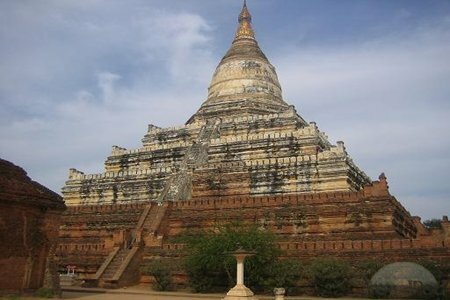 Highlight your afternoon with a visit to Ananda Temple, stopping along the way on the Bagan plains to admire some of the surrounding temples. 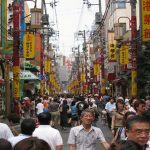 We also visit some local lacquer ware workshops and see how to make the traditional craft of local people here. End of the day, we enjoy the panoramic sunset view from the second highest pagoda of Bagan, the ShweSandaw Pagoda. 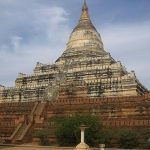 Today continue our exploring to the ancient city by taking an exotic horse cart ride to the Nan Paya Pagoda, one of the biggest temples in Bagan and many other interesting sites nearby. After that, we stop at MinkabaGubyaukyi Temple, take note of the architectural difference in MyaZedi Pagoda before heading to Manuha Temple. End of the day, we enjoy the panoramic sunset view from the second highest pagoda of Bagan the Shwe Sandaw pagoda. After breakfast, hit the colorful market of the different village surrounding the lake. 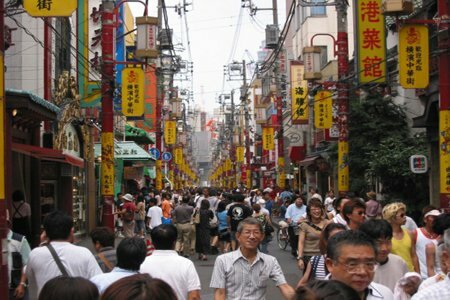 This is definitely a fascinating place to enjoy the scene of local tribes in their colorful clothes and exotic market atmosphere. After that, embark on a boat trip and row along the scenic channel to reach the beautiful temple of Indein which is located on the hill overlooking the lake. It will be definitely relaxing to walk along the corridor and enjoy the giant columns which have been left to nature for centuries. Later afternoon, we take a flight back to Yangon. Greetings and welcome upon arrival. 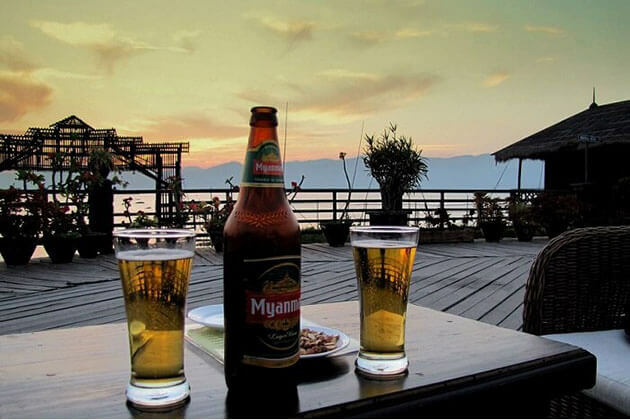 Leave Inle Lake for Yangon. 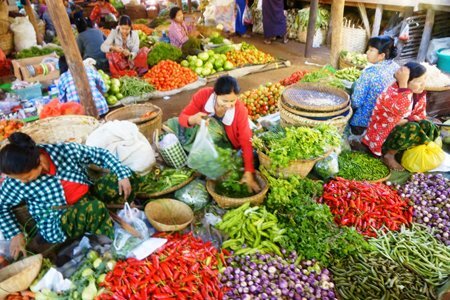 This morning spend the last minutes of your Myanmar itinerary 6 days shopping at Treasure, Germs and Handicraft shops or at the BogyokAung San (Scott) market before transferring back to the hotel for our departure flight. Trip ends. 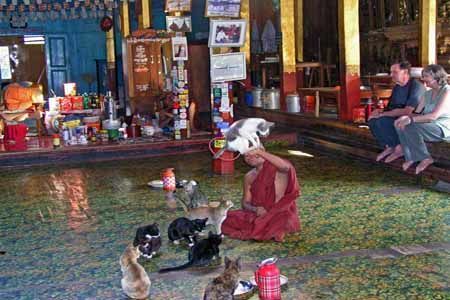 Visitors exciting watching Jumping Cat in Ngaphechaung Monastery. Nyaung U Market in Old Bagan, Myanmar. 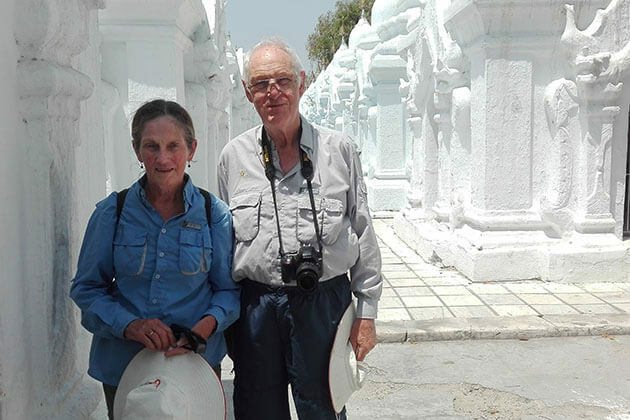 Our adult children Adam Herstig and Molly Blizmann booked through you a 6 days tour of Myanmar starting December 30 th 2015. We , the parents live in Bangkok and decided to join them for few days. 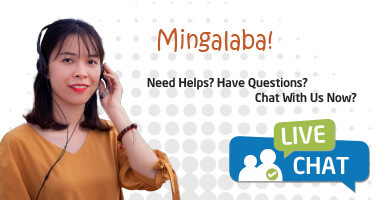 Molly keeps asking you what flight they have on 30 th December from Yangon to Nyaung-o ( Pagan) , so that they can tell us to make the same booking. PLEASE ANSWER HER!!!! WHY IS IT SO DIFFICULT??? Is it because you are actually a Vietnamese company? 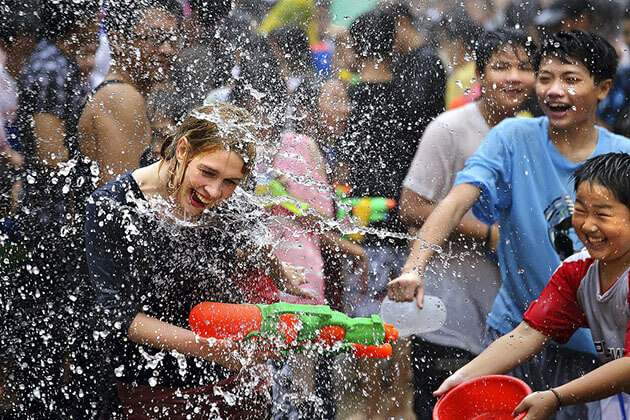 How much does it cost for a 6-day tour in Myanmar for 4 people in February? 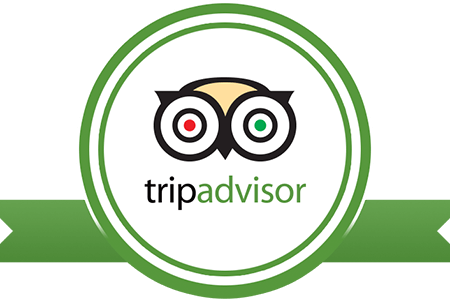 Thank you for requesting on Go Myanmar Tours. 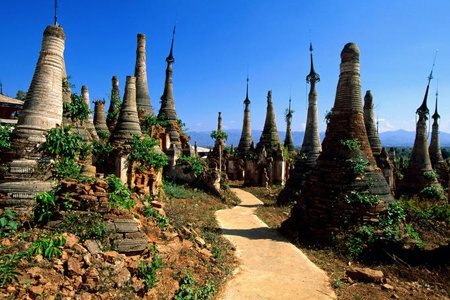 We have dropped a detailed quotation for a Myanmar tour 6 days to your email address already. Please check it and tell us other question you may have. Thank you for letting us know about your travel plan. 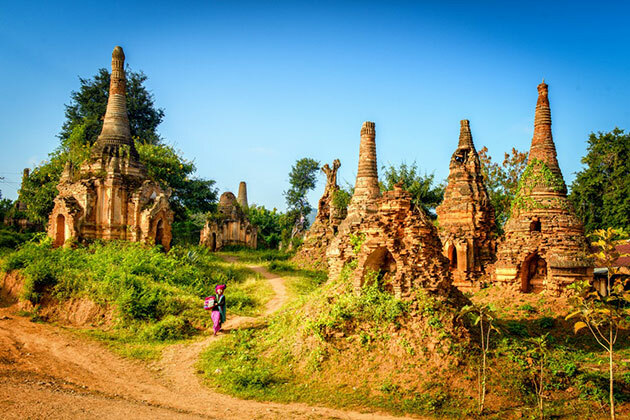 You are always possible to customize your own Myanmar itinerary 6 days. Please fill your specific requirement in the inquiry form. 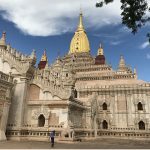 My family intends to travel to Myanmar on February 14th and we find your 6-day trip is awesome. But we love the hot air balloon trip so much. Can we make it on our tour? Thank you for letting us know about your travel plan. We want to inform you that you are always possible to book a hot air balloon trip in your Myanmar tour 6 days. 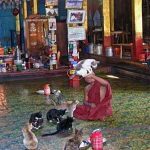 Please fill your specific requirement for your own Myanmar itinerary 5 days in the inquiry form and as us any other questions you may have.